Hullo everyone! This coming April, Zoladdiction will be turning five, yay! 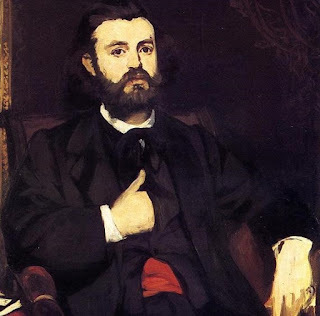 I have started this event of reading (and promoting) my favorite writer Émile Zola back in 2013 (with o). Since then, I host it every April, except in 2016 due to my tight schedule. Now, welcoming Zoladdiction’s fifth anniversary, I am thinking of rejuvenating it a bit. My goal from the first is to promote Zola’s genius and beautiful writing. 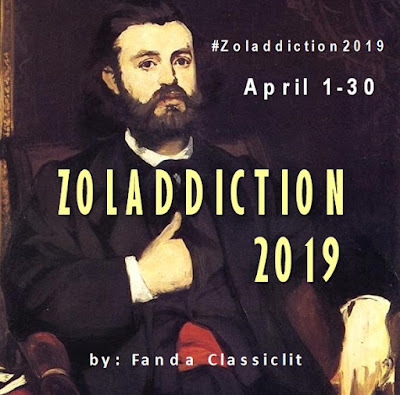 By picking “Zoladdiction” for the yearly event’s name, it assumes that once you get into Zola’s, you will find yourself being addicted to his works. This is true! Almost everyone I knew who has ever discovered Zola, confessed of falling in love with him or at least wanting to read more of him. And don’t worry, Zola has a lot of works you can plunge into without ever getting bored! 2018: The Style – highlighting Zola’s unique and beautiful writing styles by sharing quotes etc. 2020: The History – reading biographies, essays or other writings about Zola, or his J’Accuse! Now I need your opinion. What do you think of this? If you have better idea, let me know! Or if you would like to co-host or any other kind of contribution, just let me know, so we can discuss it. Written in 1951 post World War II, The End of the Affair is a grim story about love, trust, and faith. I started my reading without any knowledge about this book or the author. I have assumed that this is simply about painful love affair. It was started by love affair, indeed, but it ended much more than that. During and at the end of World War II, Maurice Bendrix, a novelist, made friend with Henry Miles, and had an adulterous affair with his wife—Sarah Miles. The affair quickly turned to love and hate relationship, poisoned by Maurice’s severe jealousy because Sarah refused to divorce Henry despite of their loveless marriage. One day a bomb blasted Maurice’s apartment where the adulterous couple was spending the night. They both survived, but after the incident Sarah broke off the affair without apparent reason. Two years later Maurice accidently met Henry, who has begun to suspect Sarah’s affair. Himself burned with passionate jealousy, Maurice took initiative to hire a private detective to find Sarah’s lover. The detective found her diary which revealed that when the bomb blasted, Sarah has made a promise to God not to see Maurice again if He let him live. Interestingly, this book does not speak about guilt, which is usually common theme for love affair stories. From the beginning of Maurice and Sarah’s affair, there were these confusing tugs between love and hate, joy and sorrow, and between fleshly love and God’s love. They seem to not understand what or which one were their feelings at times. At first I thought that Greene was talking about post war depression that leaves men with emptiness in soul and apathetic behavior towards religion or God. But after that part, Greene seems to fling us to opposite direction, and end the story with a twist. When the story ended, I was just: “What was that really about, then?” After three-quarter of the book which were full of hatred and disbelieve in God that was quite disheartening, suddenly I realized that maybe Greene is speaking about faith. I am still not 100% sure about this, but one thing captured me in the end: the fact that baptism received in childhood has the same power as when one receive it consciously as adult. The child could wander far away from the right path from that moment, but it will still be there; and in the right moment the adult version of the child will eventually get to it—though the road might be long and winding, and at times seems impossible. And of course, it needs one’s cooperation with God’s will to let it happen, for anyway, He has imposed us with freewill. Being a huge fan of Dame Agatha Christie, I have read many of her books—maybe most of them (she wrote not less than 73 novels—source: wikipedia). 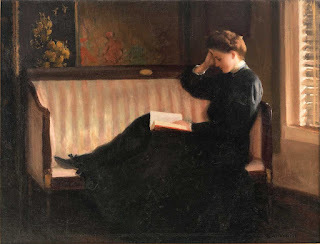 Still, her books never bore me. When I thought her method must have been more familiar with my next read, I would be amused to found yet a new unexpected one. And Towards Zero was one of these. "When you read the account of a murder--or say, a fiction story based on murder, you usually begin with the murder itself. That's culmination of a lot of different circumstances, all converging at a given moment at a given point. People are brought into it from different parts of the globe and for unforseen reasons. […] The murder itself is the end of the story. It's Zero Hour." It was quoted from Superintendent Battle, who was our detective in this book. If you are familiar with Agatha Christie’s, Battle has appeared with Poirot on several cases. In this one he worked alone, though Poirot’s name still had chance to appear as his inspiration. 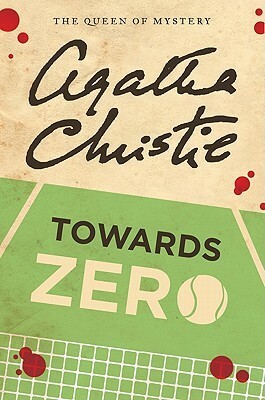 Anyway, what made Towards Zero very special (at least to me) is the unusual order in which Christie wrote it. Usually a murder committed; then the detective started the investigation. With Poirot (because I am more familiar with him than Marple), it means taking himself into the circle of people connected with the murder—and into their confidence—in the hope that they will unintentionally reveal their secrets. The order would be: first, the major event (the murder) which leads to small incidents (maybe more murders to cover the murderer’s secret), then Poirot or other detective completed the puzzle, and finally the revelation. Towards Zero was started from minor unrelated events of some people. Then on certain point they were gathered in a same place, where eventually the murder would happen. This new method allowed us to see the characters unprejudiced, because we still don’t know the victim-to-be and the crime scene. I have never encountered the same method in Christie’s before, and I liked it. Finally, after so many years with my three favorites: Curtain, The Murder of Roger Ackroyd, and And Then There Were None, now I officially declare that Towards Zero has become my fourth favorite! Intentionally I did not tell you what the story is about, because it’s almost impossible to tell anything without spoiling the surprises—and there were many, including the ending twist! And, of course, the interesting psychological aspect! Maybe I can only safely say that there would be many coincidences in this story; that it involves a triangle love story of a husband and two wives (ex and current) in the centre, but there are also other lovers beyond it; that there are invalid old lady and old gentleman; and there is also a stranger who had attempted suicide. One of them is cunningly and methodically planning a would-be-perfect-murder. But—and this is what Christie was trying to tell us—there are a lot of things beyond us that can happen; that even the most complex murder could possibly be revealed. Sometimes, the thing can just be a tiny, completely unrelated coincidence. We might call it… miracle. Final verdict: 5 of 5 - Perfecto! Mid January… I am still a bit busy preparing the annual tax report at work, but here is just a quick update on my challenges progress. 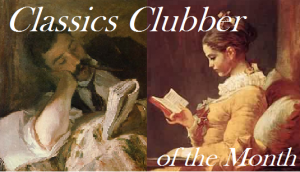 Towards Zero by Agatha Christie for Back to the Classics Challenge 2018 (a classic crime story). Reviews for the last two are on progress. Which book on your 2018 list has been on your shelf the longest? 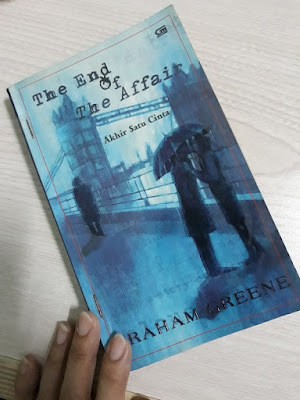 It should be The End of the Affair (Graham Greene). I remember buying it in a local second-hand bookstall for my used-to-be online second-hand bookstore. It has closed since 2014, but I still kept some of the books I wanted to read; this one is one of the few. Overall, I have been super productive this month, having read 3 books, and am starting the fourth only today. 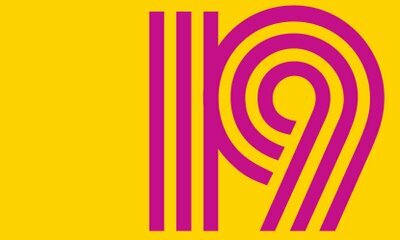 The first one was also my first review for my other blog: A Glimpse to the Past, which I have been neglecting for three years! My favorite so far is Towards Zero, which was quite surprising. Hopefully I can keep this pace throughout the year!